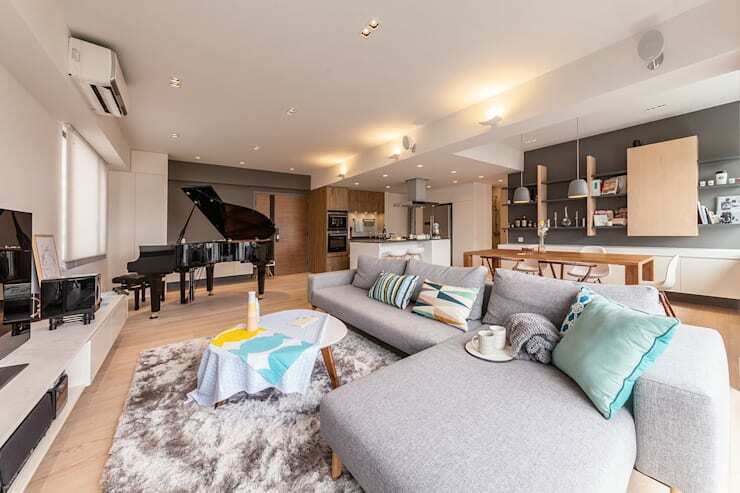 In Hong Kong, our experts of architecture and design - Arctitudesign - were faced with the task of designing modern, stylish and spacious home for their clients. 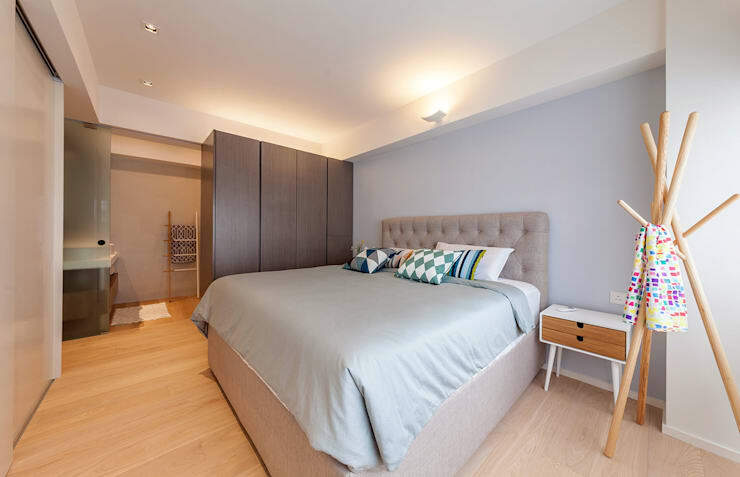 The new residents wanted a lot of space, a contemporary living experience, a lot of comfort and well-lit rooms. The result shows how today's notion of modern living has conquered the globe and is incredibly popular in the Far East as it is in South Africa, America and Europe. Today at Homify, we will explore! 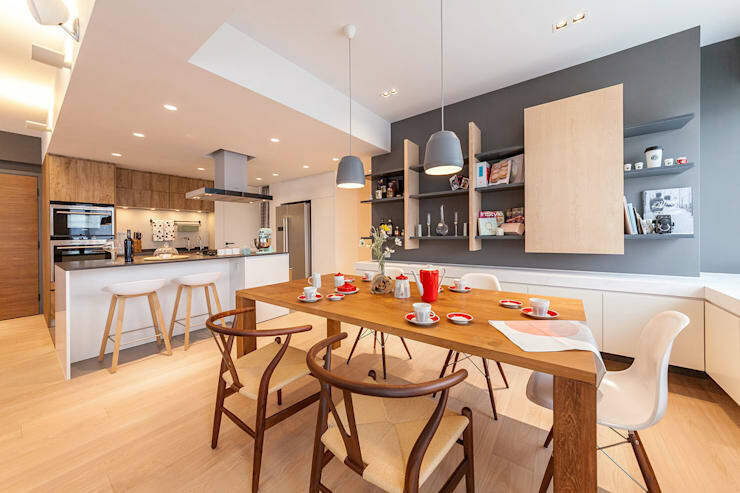 The centre of the apartment is made up of an open plan living room, kitchen and dining area, where each room's functions are seamlessly combined. In this way, the desires of the residents are met—the design is modern and well-lit, making the available living space feel even larger and more impressive. With regards to the style, we can see a harmonious mix of sophisticated luxury and subtle design. Modern and minimalist furniture fits into this space beautifully, enhanced by a fluffy carpet and sophisticated lighting. The warmth of this space gives a feeling of exclusivity and unique beauty. Before we look at the rest of the apartment, let us take a quick look on the balcony, which is separated by large glass doors from the living room. 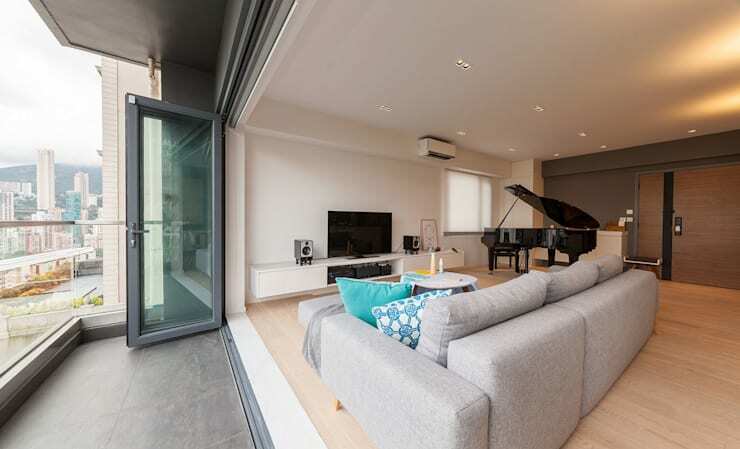 These can be opened completely, so that the apartment seamlessly extends outside in good weather. Thanks so the transparent glass railings, there are also fantastic views of the surrounding city. Have a look through these products for balconies for inspiration for your own home! Here we can see the dining area, which begins behind the sofa and continues in the subtle, natural colour of the living area. Plenty of white, grey, sand and cream tones are complemented by warm wood. Thanks to stylish furniture and accessories, there is a very relaxed and welcoming atmosphere that achieves both an elegance and a natural coziness. Now that we are in the kitchen, let's take a closer look. 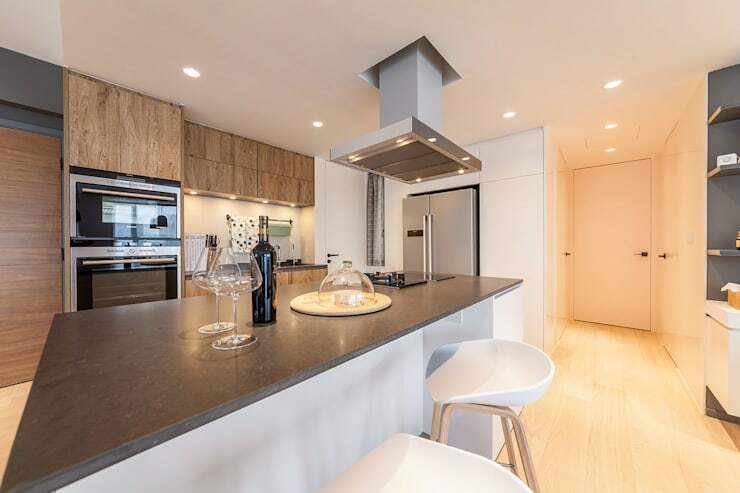 It embodies everything that you want in a modern cooking area: clean design, clean lines and sleek cupboards and cabinets that provide plenty of convenient storage space. And don't you love that there are no handles on the front? There is also a spacious cooking island, a work area and plenty of space on the kitchen counter tops. The electrical equipment is also the latest in cutting edge technology—a modern cook's dream! This is the ideal place to meet and catch up over a glass of wine or a cup of tea. It also maintains the style and colours from the rest of the interior. Read these: Simple tips for tackling kitchen furniture. In the bedroom, everything is in harmony. Again, the designers have played with subtle and neutral colours for the main bedroom, creating an atmosphere of peace and serenity. This is exactly what you want for a bedroom. In the centre of the room, we have a cushy and bouncy looking bed, which promises relaxed and peaceful nights of sleep. It is spiced up with some cheerful and colourful cushions. Large handle-free cabinets provide plenty of storage space and in the background, where we can see how a bathroom is integrated into the bedroom. This is separated by a frosted glass sliding door, so that it does not entirely become one with the sleeping area. In the bathroom expect no surprises. Here the bright and natural colour palette continues, as does the clear and uncluttered design. High quality materials have been used throughout! 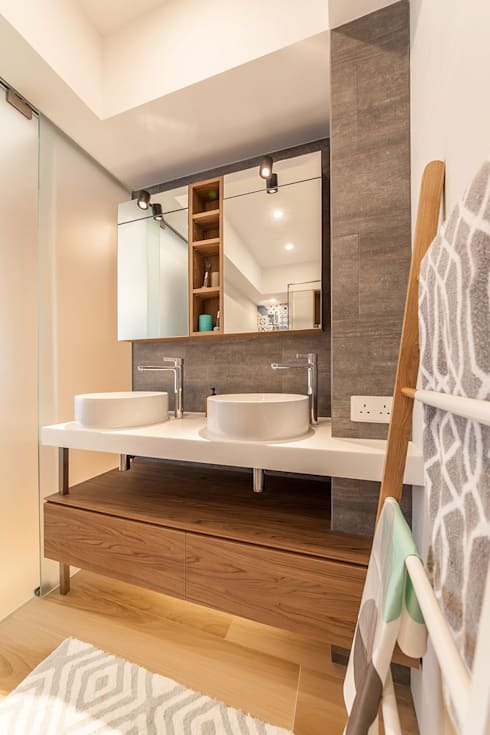 Under the sink and behind the mirror, the interior designers have created very subtle storage spaces, which helps to keep the room neat and tidy. You can read these six ways to create small closets to figure out how to create your own smart storage solutions. Would you like the keys to this apartment? Which room is your favourite? We'd love to hear your thoughts!